Jordie was found housing up to 14 illegal pacific immigrants who had come to New Zealand in search of a better life. Steve has made quite clear that he won’t be allowing any top and tailing and that Jordie will need to put up with Steve’s sleep walking. 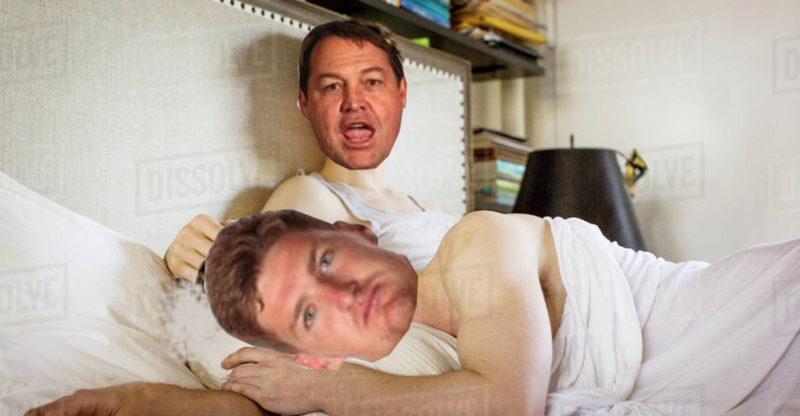 so Jordie was forced to share a bed with Charlie Faumuina, which was bizarre as Charlie wasn’t named in the touring squad in the first place.